In the film Beasts of the Southern Wild, the aurochs (plural aurochsen) is a strange hybrid wild boar/bull armed with both horns and tusks that comes to symbolise the disasters that looms over Hushpuppy, her family and her community. 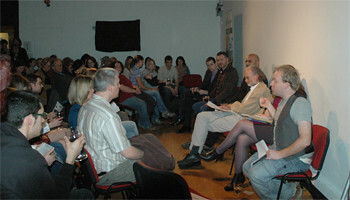 The species of animals depicted in the film are a convergence of fact, film fiction and necessity as the film makers decided that only pigs and dogs could be trained to perform to such a high standard. The pig was chosen and when merged with characteristic of the real aurochs a somewhat ambiguous animal emerged. In reality aurochsen (latin name Bos primigenius) were wild cattle, now extinct, that once roamed across Eurasia, India, and North Africa. The last recorded aurochs died in 1627 in Poland’s Jaktorów Forest. The aurochs was far larger than most modern domestic cattle with a shoulder height of 2 metres and weighing in the region of 1,000 kilograms. To compare large domesticated cattle today are about 1.5 metres tall. Aurochs had several features rarely seen in modern cattle, such as lyre-shaped horns set at a forward angle whilst depictions and historic accounts indicate that they had a pale stripe down the spine, and sexual dimorphism of coat color. Males were black with a pale eel stripe or ‘finching’ down the spine, while females and calves were reddish. These animals were domesticated during the Neolithic, the period when farming was invented, and gave rise to our modern domestic cattle. There were at least two domestication events one gave rise to the European cattle (known as taurine cattle) and another that gave rise to the Indian subspecies, the Zebu cattle. Other species of wild cattle, the water buffalo, the Gaur and the Banteng were also domesticated. Recent work suggests that all Eurasian cattle were descended from as few as 80 animals that were domesticated in the Near East some 10,500 years ago (Bollongino et al 2012). These animals featured extensively in the human psyche over millennia. They are the creatures most often depicted by ancient hunters in the earliest stone age (Paleolithic) cave across Europe (e.g at Altamira and Lascaux) and were later worshipped by early farmers with their horns and skulls adorning shrines and homes (e.g. at Çatalhöyük in Turkey). Welsh aurochs dating to the Mesolithic (c. 100th to 40th century BC) have been recovered from Goldcliff, with their hoof prints, and those of their human hunters along with deer, wolves and birds, found preserved in the mud of the Severn Estuary. Finds of bones attributed to aurochs on archaeological sites in England are relatively rare after the Neolithic, recent work by archaeologists at Cardiff has confirmed that the first domestic cattle (as well as sheep, pottery and monument building) appeared in Britain in the 40th to 39th century BC. The clearance of woodland, competition with domestic stock and their diseases, as well as hunting lead to the species extinction by the 10th century BC (Yalden 1999). Auroch remains are often found in marshy ground (e.g. the Porlock Auroch in Somerset) and chemical analysis has suggested that wetlands were their preferred habitat (Lynch et al 2008). To see an aurochs in Cardiff just pop down the National Museum, where they have a skull on display. Aurochs persisted in Europe but by the 13th century A.D., their range was restricted to Poland, Lithuania, Moldavia, Transylvania and East Prussia. Their final refuge was the forests of modern day Poland, where by 1564 royal gamekeepers knew of only 38 animals. The last recorded live aurochs, a female, died in 1627 in the Jaktorów Forest from natural causes. The skull was later taken by the Swedish Army during the Swedish invasion of Poland (1655–1660) and is now the property of Livrustkammaren in Stockholm. These animals still hold a fascination for us and there have been two notable attempts to recreate aurochs. The Heck brothers in the early 20th century merged a variety of cattle breeds, including Spanish fighting bulls to create a large, and aggressive bovid. 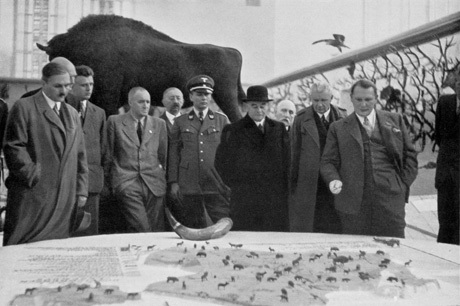 These experiments coincided with strain of Nazi thought that sought to apply ‘pseudo-Darwinian theories in support of a racialized conception of the state’ (see the article in cabinet magazine) and eventually resulted in the reintroduction of Aurochs to Poland. More recently the Stichting Taurus (Taurus Foundation), a private Dutch organization, is leading a selective breeding program in order to recreate the extinct aurochs through a combination of modern genetic expertise and old-fashioned breeding and return the Aurochs to the mountains of Central Europe. 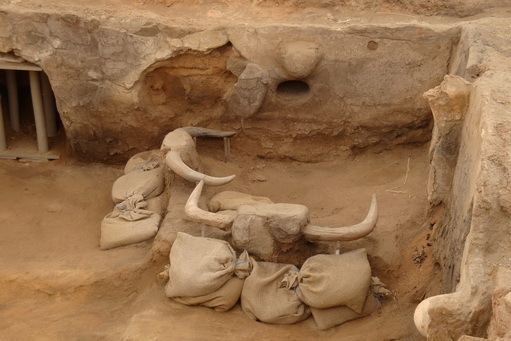 Rather than just selecting animals that look like aurochs this project is using modern DNA analysis to characteristic the aurochs genetic identity and then run a breeding program using modern animals that contain larger quantities of aurochs DNA. To do this the project leaders have begun to argue that the reported aggressive nature of the Aurochs has been exaggerated. Like other large bovids they are unlikely to be aggressive to humans unless threatened, an important characteristic if their re-introduction to inhabited areas is being planned. 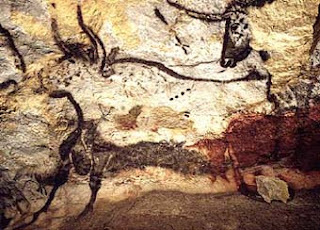 Thus the aurochs, although no longer physically present in our world, remains at large in our imagination. Their mythological status is enhanced by the early images on cave and house walls where they are painstakingly recreated with greater skill that the accompanying stick-like humans figures. In the film this imagery is drawn upon and they symbolize a threat to the human way of life. In reality it was us, the scrawny hunters, who exterminated them. Please click here to access a TEDx video using art, science and imagination to explore the human:animal relationship and domestication past, present and future. Yalden, D.W. 1999. The history of British mammals. London: Poyser. Harris, S. and Yalden, D.W. Mammals of the British Isles: Handbook, 4th edition: NHBS -, Mammal Society.